Just as you would find a long list of game options at a land-based casino, SuperLenny offers just about every type of live table game that you could want. 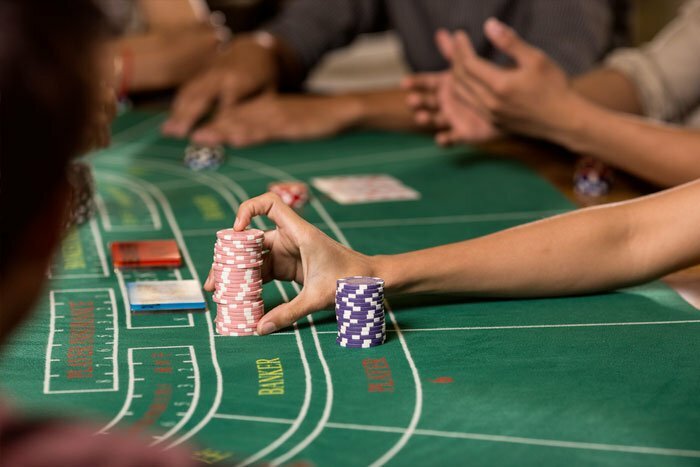 Along with all of the standard table games that one would expect from a casino, Lenny also offers a healthy list of variants to keep things interesting. Roulette is always a fun choice in the casino, and Lenny offers his customers a nice variety of Roulette games to try out. Immersive Roulette, Double Ball Roulette, Dragonara Dual Play, Auto Roulette, and American, European, French, London, and Turkish Roulette games which all come with slightly different set ups and rules. There are also VIP versions of some of the Roulette games on offer for the professional players. Poker is also an important game here at SuperLenny. Players enjoy Carribean Stud Poker, Three Card Poker, Ultimate Texas Hold’em, and Casino Hold‘em. Poker players of all types are sure to find a table that suits them well. There are game variants for both novice players and seasoned poker pros alike. Blackjack is one of the more popular games and there are plenty of rooms to choose from. Due to the abundance and diversity of players, the minimum and maximum bets vary widely from table to table. Make sure that you check the betting requirements before you join a game. Baccarat is hugely popular in the world of gambling and Lenny offers a couple of games for his players to try out. There is a classic Baccarat game as well as Baccarat Squeeze. Either option delivers a top-notch experience to the player. Whichever game you choose to play we are sure that you will enjoy your stay. The games here are top-of-the-line and are run by the best technology in the business.